Morning All! I'm linking up with Rowdy in First Grade to tell you Something Good that has happened this week. This week my sixth grade friends have been working on their stamina. We are up to 15 minutes on Read to Self which is right where I need them to be. I have 82 minutes of language arts and being able to break groups into my Daily 3 sections works best for me. We also began Work on Writing. We are only at 8 minutes in this area. I was surprised at how difficult it was for my sixth grade friends to write for that 8 minute period. Next week we'll do Word Work and then be able to really start our mini lessons for Reader's and Writer's Workshop. All of my friends can open their lockers! This is HUGE. They can all get to their classes and they are doing a great job with routine. This week "Little Man" turned 10! I can't believe that my youngest child is in double digits. He is a 5th grader now and made safety patrol. He is so proud! Woot woot. My daughter "24" made the field hockey team and is thinking of being the goalie. That should be fun to watch. Field hockey is a new sport for us. I can't wait to watch the first game this week! 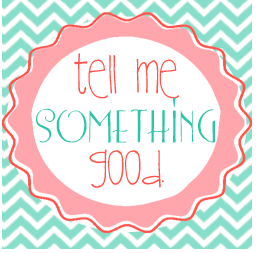 Head on over and link up to tell us Something Good that has happened to you this week! I must tell you how much I admire upper grade teachers, especially middle school aged. You rock! Congrats on getting your kids to 15 minutes on Read to Self! Glad I found your blog. I LOVE that one of your positives is that your kids can all get into their lockers an on to class on time. I think people who aren't teachers don't realize how excited we get about the little things! So happy you linked up! It's amazing at the beginning of the school year how those little things like lockers can be such a triumph when accomplished! 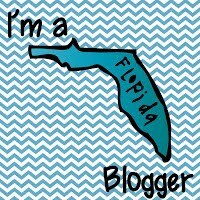 I found your blog through Tell Me Something Good and i am your newest follower :)! 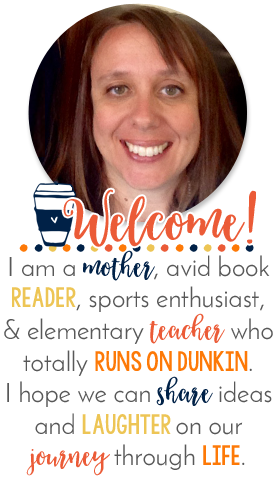 Looking forward to hearing about your adventures as a middle school teacher. Thanks Nikki! Welcome to Coffee Cups!